Icon Pro Audio have announced the release of their next generation USB-MIDI control surfaces: the Icon QCon Pro G2 DAW Controller and the Icon QCon EX G2 Fader Expander. With the latter costing only £335 and capable of being used as a standalone controller, they present a very attractive prospect for hardware control of your DAW. The Icon QCon Pro G2 is, naturally, the update to the popular Icon QCon Pro, Icon's cost-effective, cross-platform control surface. Housed in a slick all-black finish, the new Icon QCon Pro G2 features updated encoders, jog wheel and , touch-sensitive, motorised faders. Each of the eight channel faders (plus 1 master fader) is 100 mm in length and features 10-Bit resolution, allowing for super accurate adjustments during recording and mixing. As a result, many of the most common tasks become simpler and more intuitive, say its makers, allowing the user to set multiple gains and levels, quickly mute and solo instruments or fader groups, change plug-in parameters such as EQ boosts and cuts, or automate effects sends on the fly. Four different control modes are available. Depending on the DAW, presets operate via the Mackie Control Protocol, Mackie HUI (for Pro Tools) or the dedicated Logic mode (for Logic Pro). What's more, the QCon Pro G2 also features a User Define Mode, which allows users to create and save their own customised MIDI-maps. Between these different modes, it’s possible to control Cubase/Nuendo, Logic Pro, Pro Tools, Studio One, Reaper, Ableton Live and Reason. There are also overlays and support for FL Studio, Digital Performer, Studio One and Adobe Audition. 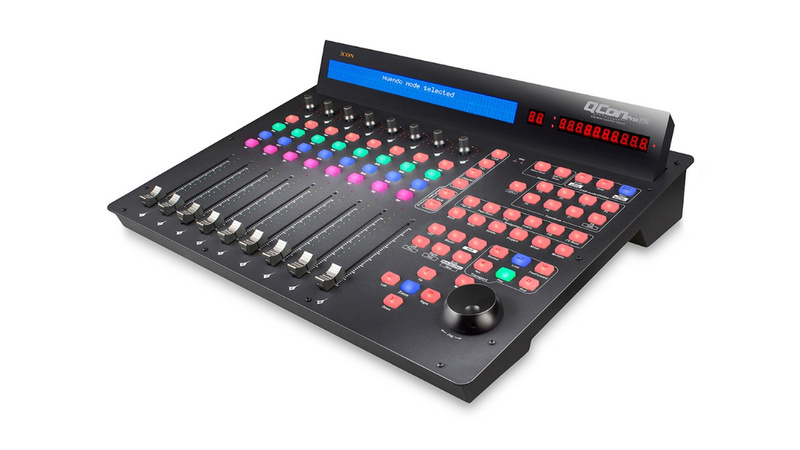 Meanwhile, the QCon EX G2 can be used either standalone — something that's not always possible with this type of controller — or to provide an additional bank of 8 motorised faders for your QCon Pro G2. 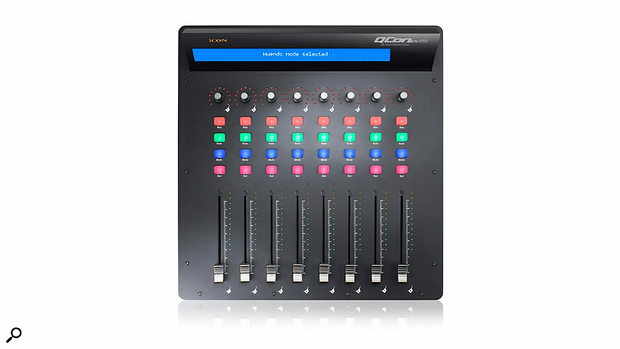 Up to three QCon EX G2's can be added to the QCon Pro G2, giving you the ability to run up to 32-channels of touch-sensitive, motorised faders for comprehensive and creative control of your DAW. Both the Icon QCon Pro G2 (£445) and Icon QCon EX G2 (£335) are available and are, unusually, shipping immediately.